Another slow-cooked treat from deadpan maestro, Aki Kaurismäki. 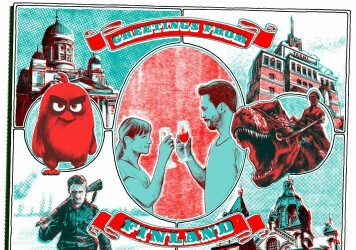 Who knew that observing the life of a migrant on the streets of Helsinki could be so joyful? Pure, unadulterated cinematic pleasure. Kaurismäki is one of the greats. This might just be the most drolly poetic response to what has been dubbed the ‘refugee crisis’ by journalists and political wags, and it comes as little surprise that Finland’s sardonic sage, Aki Kaurismäki, is the man behind the tiller. The Other Side of Hope traces the intersecting lives of two men: one a Syrian migrant named Khalid (Sherwan Haji) seeking temporary asylum in Helsinki; the other an impassive, older Finnish gentleman named Wikström (Sakari Kuosmanen) who ditches his alcoholic wife to open a low rent bar-restaurant. And though it’s never articulated with the kind lapel-shaking rage that most filmmakers dealing with this subject might lean on, the film lets out a silent scream during a time of unprecedented geopolitical anxiety, where governments are failing to demonstrate basic empathy towards those most in need. But most of this is just a beautiful celebration of cultural diversity. One of its key messages is, never let a Finn try and make you sushi. The sad-eyed Khalid emerges from a barge, having stowed away in the giant coal stores. It initially appears an absurd and uncomfortable way to travel, but the more of the hero’s sad story comes to light, the more it becomes shockingly evident that he has probably had to endure much worse. He is on a search for his sister, who was snatched away from him during one of their many, perilous European border crossings. He dedicates his life to reconnecting with her. While Khalid represents the displaced migrant humbly searching for safety in foreign climes, Wikström is the well-heeled dreamer who thinks nothing of taking direct action (and a fair amount of risk) when it comes to getting a job done. It would be hard to describe him as a kind person, as his various acts of altruism come as subjective reactions to each new situation. He extends charity to no one, but he works to improve the lives of those around him, knowing that it will stoke his own sense of self worth. 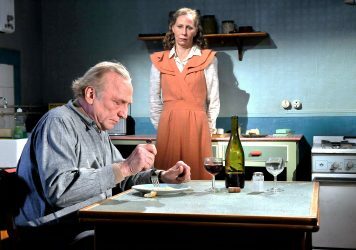 In the way the actors intone lines with a stone face, or seldom display their feelings through body language, Kaurismäki assures that the human body is so expressive (and the camera so sensitive) that empathy will rise naturally from the screen. 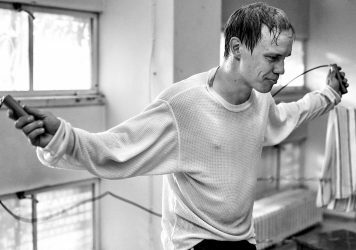 Formally, the film is trimmed of all unnecessary fat, and Kaurismäki, with his long-time partner in cinematographic crime, Timo Salminen, use every shot to capture a process. On the rare occasions that the camera moves a little further away from the subject, the effect is one of subtle transcendence, such as when Wikström sits alone in his restaurant, drinking whiskey as a giant shaft of dusty light scythes through the image. Aside from its trenchant political underpinnings, this is also a gorgeous ode to the power of cinema itself, with various pronounced nods to Jacques Tati, Yasujiro Ozu, Robert Bresson, silent comedy, 1940s noir and all manner of cinephile flotsam and jetsam. Old bushy geezers pile on the soundtrack with soulful rockabilly toe-tappers, and there’s an aside in which Wikström decides to embrace modern trends and open a sushi restaurant that might be the director’s single funniest sequence ever. 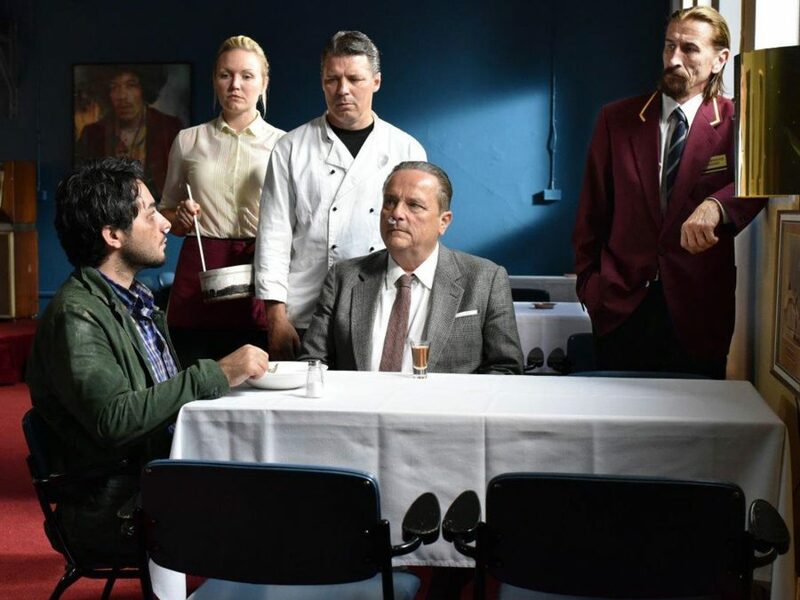 In fact, the whole thing is a whimsical joy from start to finish, and Kaurismäki now proves to be an old hand when it comes to shifting on a dime between scenes of madness and melancholia.